Friends are remembering Dr. Leroy Hommerding a day after he was stabbed to death. FORT MYERS BEACH, Fla. -- As investigators are still trying to find answers as to why a homeless man reportedly stabbed Dr Leroy Hommerding to death, people who knew him are in mourning. Hommerding was a very active member of the community. Not only was he the director of the Fort Myer's Beach Library he also was a member of the Fort Myers Beach Kiwanis Club. On Saturday's he volunteered his time at the Beach Kiwanis Thrift Store. His closest family members live in Minnesota, so the friends he made became his extended family. “It was a big shock, I just hoped it was wrong and unfortunately it was true,” said Douglas Bidgood, FMB Kiwanis Club Member. “I brought him into the Kiwanis we are very good friends, we had lunch together frequently,” said Bill Pearson, FMB Kiwanis Club Member. Hommerding was in charge of the schloarship program for the Fort Myers Beach Kiwanis Club. 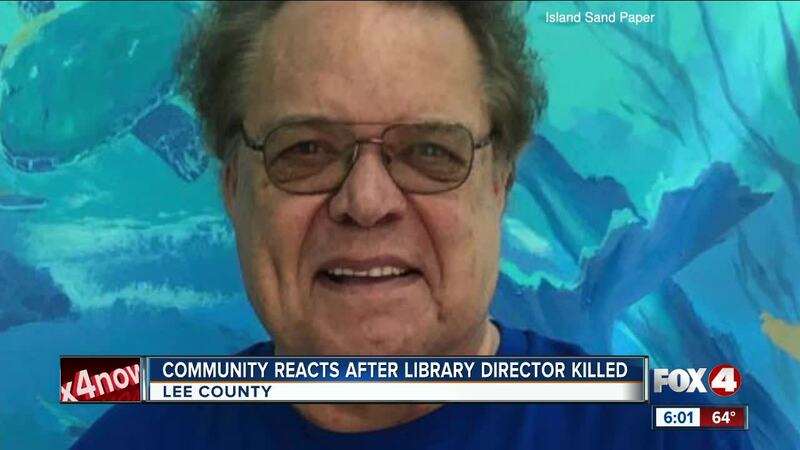 “He was an advocate of what this club stands for, and assisted the beach, surrounding the community, particularly with children,” said Pearson. He also was a big reason the FMB Library was remodeled. Bidgood said, “He was a very artistic person,” painting Ukranian eggs in his spare time and teaching others how to as well. “Well known, well liked, we cherished him,” said Pearson. While volunteering at the thrift store he worked the cash register, and loved doing the flower displays. Flowers are now left behind at the library in memory of him, but the impact he made on the community will live on. “It’s a senseless loss of life, and those are probably the most difficult, at our age, we have friends who die of illnesses and accidents but homicide is not something that happens,” said Bidgood. Lee County Sheriff's Office is still investigating the reason behind the murder. The suspect in custody, Adam Soules, had been arrested one other time back in 2014 for loitering. His last known address was Lehigh Acres. According to library staff he would frequent the area often.